Sertraline is an antidepressant in a group of drugs called selective serotonin reuptake inhibitors (SSRIs). Sertraline affects chemicals in the brain that may become unbalanced and cause depression, panic, anxiety, or obsessive-compulsive symptoms. Sertraline is used to treat depression, obsessive-compulsive disorder, panic disorder, anxiety disorders, post-traumatic stress disorder (PTSD), and premenstrual dysphoric disorder (PMDD). Sertraline is used to treat depression, obsessive-compulsive disorder (bothersome thoughts that won't go away and the need to perform certain actions over and over), panic attacks (sudden, unexpected attacks of extreme fear and worry about these attacks), posttraumatic stress disorder (disturbing psychological symptoms that develop after a frightening experience), and social anxiety disorder (extreme fear of interacting with others or performing in front of others that interferes with normal life). It is also used to relieve the symptoms of premenstrual dysphoric disorder, including mood swings, irritability, bloating, and breast tenderness. Sertraline is in a class of antidepressants called selective serotonin reuptake inhibitors (SSRIs). It works by increasing the amounts of serotonin, a natural substance in the brain that helps maintain mental balance. One of the more effective and better tolerated antidepressants in its class. Causes less sleepiness than other antidepressants. Sertraline comes as a tablet and a concentrate (liquid) to take by mouth. It is usually taken once daily in the morning or evening. To treat premenstrual dysphoric disorder, sertraline is taken once a day, either every day of the month or on certain days of the month. Take sertraline at around the same time every day. Follow the directions on your prescription label carefully, and ask your doctor or pharmacist to explain any part you do not understand. Take sertraline exactly as directed. Do not take more or less of it or take it more often than prescribed by your doctor. Sertraline concentrate must be diluted before use. Immediately before taking it, use the provided dropper to remove the amount of concentrate your doctor has told you to take. Mix the concentrate with 4 ounces (1/2 cup [120 milliliters]) of water, ginger ale, lemon or lime soda, lemonade, or orange juice. After mixing, the diluted solution may be hazy; this is normal. Do not mix the concentrate with any liquids other than the ones listed. Drink the diluted solution immediately. Your doctor may start you on a low dose of sertraline and gradually increase your dose, not more than once a week. Do not take Zoloft if you have used an MAO inhibitor such as furazolidone (Furoxone), isocarboxazid (Marplan), phenelzine (Nardil), rasagiline (Azilect), selegiline (Eldepryl, Emsam, Zelapar), or tranylcypromine (Parnate) in the last 14 days. A dangerous drug interaction could occur, leading to serious side effects. Tell your doctor right away if you become pregnant while taking this medication. 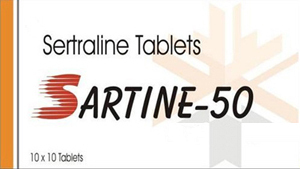 Sertaline may cause heart defects or serious lung problems in a newborn if you take the medication during pregnancy. However, you may have a relapse of depression if you stop taking your antidepressant. Do not start or stop taking sertraline during pregnancy without your doctor's advice. 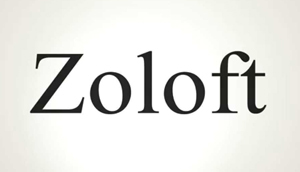 The dose regimen for Zoloft in the treatment of depression has been well established. The starting dose, 50 mg/day, is the usually effective therapeutic dose, and the optimal dose when considering both efficacy and tolerability for most patients. For patients who do not show an adequate therapeutic response within 24 weeks, the dose of sertraline can be increased in 50 mg/day increments at no less than weekly intervals to a maximum of 200 mg/day. Sertraline is generally given as a single daily dose and may be administered at any time of the day. In contrast to other selective serotonin reuptake inhibitors, there is no need for altered dose recommendations in the elderly.